No way that photographer Charlotte and Mom will sit on their hands and wait for Dad to be freed, some far-off day! What a crazy time to fall in love, to sidestep friends’ advice to ignore Josh, to have senior year deadlines looming while waiting and waiting to hear about her journalist father! Read the first pages here (free, courtesy of the publisher), then ask for this Sept. 2017 release at your local library or independent bookstore – remember, Small Business Saturday is Nov. 25th! When is it time to take matters into your own hands? Book info: Right Where You Left Me / Calla Devlin. Atheneum Books for Young Readers, 2017. [author site] [publisher site] Review copy and cover image courtesy of the publisher. My book talk: When Charlotte’s reporter dad goes missing in the Ukraine after an earthquake, she’s ready to jump on the next plane and search for him – until the CIA says he’s been kidnapped by rebels, and any interference by the San Francisco teen or her Russian-born mom will doom him. Dad’s disappearance shatters her senior year planning college together with best friend Emma and her contentment as school newspaper photographer (on staff with long-time crush Josh! ), and Charlotte fears that Mom may retreat into depression that even baking and baking won’t prevent. Why can’t the ransom be paid to free Dad? Will Mom ever fully recover from losing Charlotte’s big sister to crib death? Is Emma right that dating Josh would harm Charlotte’s future? 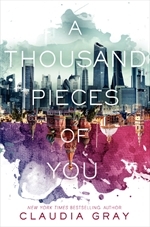 Love and loss continue to intertwine in Charlotte’s life, as she pushes past her own cautious nature to discover which expectations are worth leaving behind – for her happiness and her family’s future. is ‘forever’ a reasonable loan length? Find this funny and fierce July 2016 hardback release at your local library or pre-order the July 2017 paperback from your favorite independent bookstore (no affiliate links here – indie booksellers deserve all our business). If the end of our world was approaching, what would you do? Book info: Learning to Swear in America / Katie Kennedy. Bloomsbury USA Childrens,’s Books 2016. [author site] [publisher site] Review copy and cover image courtesy of the publisher. Eighteen days to impact – Yuri meets the asteroid team he will work with…and a lovely mysterious girl. Yes, he will take Dovie to her prom (such a strange American high school custom) and visit her odd hippie family (more strange customs) and find a way to stop the asteroid (if only his team would listen to him). No, the young PhD won’t let anyone at Moscow University steal his research toward the Nobel Prize or be forced to stay in California against his will! Counting down the days to impact – the math, the physics, the public doesn’t know true danger… as Yuri falls in love. With super-human strength, unbelievable speed, and the ability to find anything or anyone, Huck is a quiet, unassuming man who is loved and shielded by his small town – until a new neighbor alerts the media! Now sought out by those missing loved ones and pets, he’s also on the radar of an evil Russian scientist… who’s been searching for his ability a very, very long time. Just on sale this week, if you don’t see Huck at your local library, ask for it at an independent bookstore or comic book shop. A charming and humble superhero who does #onegooddeed daily, just as they taught him at the orphanage – join him in that challenge to fill the world with kindness, won’t you? Book info: Huck / Mike Millar, art by Rafael Albuquerque. Image Comics, 2016. [author site] [artist site] [publisher site] Review copy and cover image courtesy of the publisher. My book talk: His superpower is being able to find anything or anyone, but Huck stays humble and helpful, doing a good deed every day in his small seaside town. When a newcomer blows the protective anonymity that his neighbors have built around the young man since he was found at the orphanage as a baby, the gas station attendant is inundated with requests to find missing persons (and dogs). Peril and possibilities in this week’s free audiobooks from SYNC! 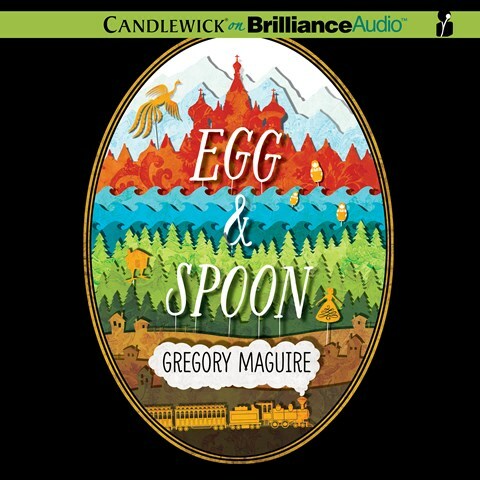 Click on the links to download either or both of these complete audiobooks at no cost, from today through Wednesday night (July 7-13), then listen to them any time (just be sure to keep the Overdrive files on your electronic device or computer). If you miss the free download week for any of this summer’s featured titles, check your local library or visit these SYNC pages for purchase information. Teen survivors of the Sickness in this future New York City set out on a quest to find the cure and save humankind. Have you read these stories of survival? Appearances mask the inner being all too well in this week’s free AudioSYNC novels. 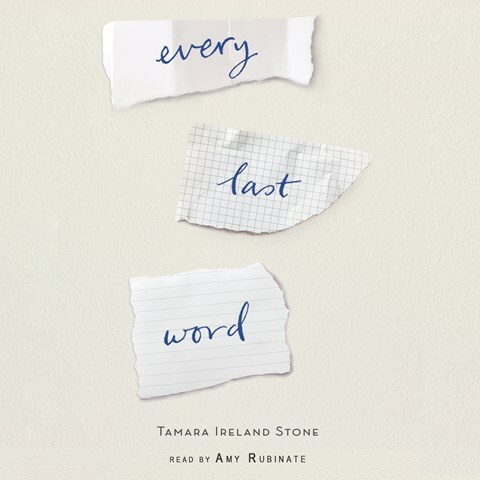 Click the book title to go straight to the AudioSYNC download page for it, but hurry! This pair of free complete audiobooks will only available for download from Thursday through Wednesday (May 26 – June 2, 2016). Once you’ve downloaded an AudioSYNC audiobook, you can listen to it any time, as long as you have it on your computer or electronic device. Carefully hiding her OCD from her clique, Samantha is introduced to her school’s secret Poet’s Corner by quirky Caroline and discovers a new side of herself, a cute guitar player, and a major threat to her sanity. I just LOVED this book, recommending it here last August! How does a wealthy family’s train journey to visit the Tsar intersect with a poor Russian family’s road to starvation, via the chicken-legged house of witch Baba Yaga? People are not always (or often) the same on the inside as on the outside – listen and learn? 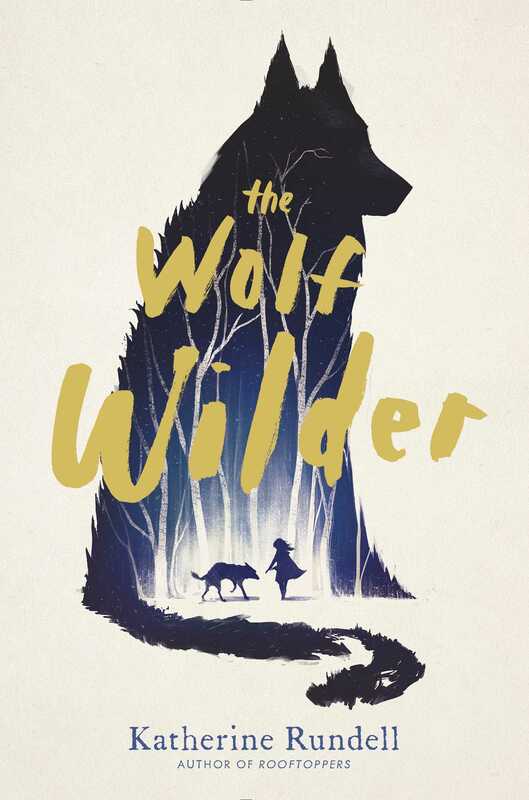 Wolf Wilder, by Katherine Rundell (book review) – wolves, friends, revolution! Re-wilding a wolf after its failure to be a calm good-luck charm in an aristocratic household is what Marina and Feo do, but the local commander puts more value on the Tsar’s elk than on any human life. Arrest, prison, execution – Feo must rescue her mother, accompanied by a very young Russian soldier who’d rather be a dancer and the three wild wolves whose range includes her remote home in the snowiest woods. I usually donate my review copies to school libraries, but I am keeping this one for myself! Are you brave enough to fight injustice where you live? Book info: The Wolf Wilder / Katherine Rundell. Simon & Schuster Books for Young Readers, 2015. [author interview] [publisher site] Review copy and cover image courtesy of the publisher. My book talk: Preparing tamed wolves to live free again is Feo’s joy and job, but the general interpreting the Tsar’s wishes arrests her mother for their work, and it’s up to the girl and her wolf friends to rescue her in this lyrical tale of friendship and bravery. Russian aristocrats believe that a wolf in the house brings good luck, but dare not kill one that won’t become a docile pet. So those wolves are sent to Marina and daughter Feo who help them become wild again. General Rakov blames the wolf wilders for every wolf attack and arrests Marina when she continues the rehabilitation work that society demands. Suddenly the young girl is left near their burning house with a newborn wolf pup, young teen Ilya who doesn’t want to be a soldier anymore, and three local wolves who consider Feo part of their pack. Six days until Marina’s trial – can they travel fast enough in the winter storms? Asking for help – can revolutionary Alexei rouse his village against harsh Rakov? Finding a way into the walled city and prison – what will Black, White, and Gray do among so many humans? The sisters Romanov truly believed that the Russian people loved them and their ailing young brother, the Crown Prince. But World War I revealed the truth, and their lives went from merriment and joy to grim gratitude for being allowed to stay together under house arrest in Siberia during the Revolution. And does author Sarah Miller think that Anastasia survived? 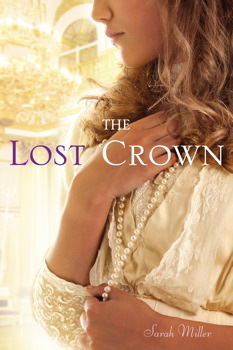 Read The Lost Crown at your local library or independent bookstore to find out for yourself! My recommendation: Sailing on the imperial yacht that 1914 summer day, none of the sisters could imagine that their world would soon erupt in war, that the whole world would go to war, that the people’s love for their papa would turn to hate and “Down with the Tsar!” would sound throughout Russia. When war is declared, the four grand duchesses – eldest Olga, prim Tatiana, peacemaker Maria, and Anastasia, who wishes she could fight alongside her father – and little Alexei, the Tsarevich, the royal heir, whose hemophilia makes every bruise life-threatening, must stay behind when Nicholas II goes to command the Russian troops. As their mother, the Tsarina frets over every fever; as Mother of all Russian Children, she agonizes over the waves of wounded soldiers returning from the front. Her increasing reliance on mystic Rasputin and her German heritage condemn her in the eyes of the rebels who overthrow the government in the midst of World War. The royal guard deserts them, Papa must abdicate the crown, and suddenly the longest family reign in history is broken as the Romanovs are taken from their palace, shifted through different cities secretively, and erased from Russian memory. Why did the military turn on their Tsar and join the rebel forces? How long can Alexei endure the rough travel without his doctor? Will the royal family live through the glory days of the Russian Revolution? Each chapter tells the fateful story from the viewpoint of a different sister, whose personality shines through, enlivening this pivotal tale of history with everyday customs and Russian endearments whispered by their parents. (One of 6,000 books recommended on www.abookandahug.com) Review copy and cover image courtesy of the publisher. “The Young Pioneer is devoted to Comrade Stalin, the Communist Party, and Communism. Sasha memorizes the Young Pioneers’ Oath, believes everything that his teachers say about Comrade Stalin and the amazing future of Communism, and is certain that his father will attend the ceremony when Sasha can finally wear the coveted red Young Pioneer scarf. So why highlight a book about a ten year old boy here? Eugene Yelchin’s father survived the informers who reported neighbors to Stalin’s State Police. As the author of Breaking Stalin’s Nose grew up in Russia, Stalin’s brutal regime was completely ignored, his Purges removing every potentially disloyal citizen never mentioned in the history books. Only when the author emigrated to the USA did he begin to learn of Stalin’s Great Terror. How can a nation wipe away every memory of such brutality? Brainwashing its children to never question their teachers and parents is one way, and the Young Pioneers movement ensured this unswerving loyalty for many decades. The Young Pioneers organization still exists today in Russia, but only Lenin is mentioned, never his bloodthirsty predecessor Stalin. 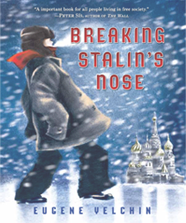 Breaking Stalin’s Nose takes us into Sasha’s innocent trust that Comrade Stalin would make everything all right… Find this Newbery Honor Book at your local library or independent bookstore, and be sure to explore its website where Yelchin has collected objects and information that make those dark days under Stalin even more real. My Recommendation: Tomorrow! Finally, Sasha will become a Young Pioneer and help Comrade Stalin bring the prosperity of communism to the USSR. His father, an officer in the Soviet State Police, will be guest of honor at the ceremony and will tie Sasha’s red Young Pioneer scarf for the first time. Waiting in the apartment kitchen that they share with 46 others, he knows that his father will be late to dinner since he is always busy catching spies. Sasha adores his father, but he worships Comrade Stalin who watches over all the people of the USSR. How sad that the children in capitalist countries will never be free enough to live together in such harmony! But heavy boots come up the stairs late at night, and the State Police arrest Father! A neighbor has reported lies about his loyalty to Stalin, just to get their apartment for his own family. Now Sasha is alone in the darkness and the snow. There must be some mistake! Comrade Stalin himself pinned a medal on Father’s coat for catching spies. Sasha decides that he must report this error to Comrade Stalin at once, so that his father can attend the Young Pioneer Ceremony at school tomorrow. Everyone at school knows how children are treated when their parents are arrested as enemies of the State – scorned and mocked and bullied. And if the parents don’t return from bleak Lubyanka Prison, then it’s off to the orphanage for their children… perhaps a worse fate than a mere firing squad. Can Sasha reach the Kremlin to speak with Comrade Stalin before it’s too late for his father? Will he be able to join the Young Pioneers when his father’s whereabouts are unknown? Can he find his Aunt Larisa on this dark winter night? Yelchin’s black and white sketches show the bleakness of life under Stalin’s brutal control, even as Sasha begins to realize that the glowing words he has memorized about his Great Leader are no truth at all. (One of 5,000 books recommended on www.abookandahug.com) Review copy courtesy of the publisher.